One of the pleasures, honors really, that this book has brought me is to be able to help raise funds for libraries. Last month the L3 committee of dedicated volunteers raised funds for the San Antonio Library Latino Resources Center. The glittering evening was amazing and so meaningful because it will help the San Antonio Library for generations to come. Next week I will be in Abilene, Texas, invited by the Friends Of The Library, for a book signing event and a gala dinner, black tie, that will feature four Texas cookbook authors. It’s a privilege to join the other authors, whom I admire, and help the Abilene Library. It will be held at the Abilene Country Club. I thought I’d share the menu that the chefs of the Abilene Country Club have decided to prepare for the black-tie gala. The chefs pored through the hundreds of recipes in all four cookbooks and selected the following dishes to prepare, serve and pair with Texas wines. I’m looking forward to this marvelous gala dining experience. Signing my book will be in the context (as it always is) of interesting conversations and sharing of varying perspectives. September 25, 2014 – 6:00 p.m.
Abilene Country Club – 4039 Treadaway Blvd. 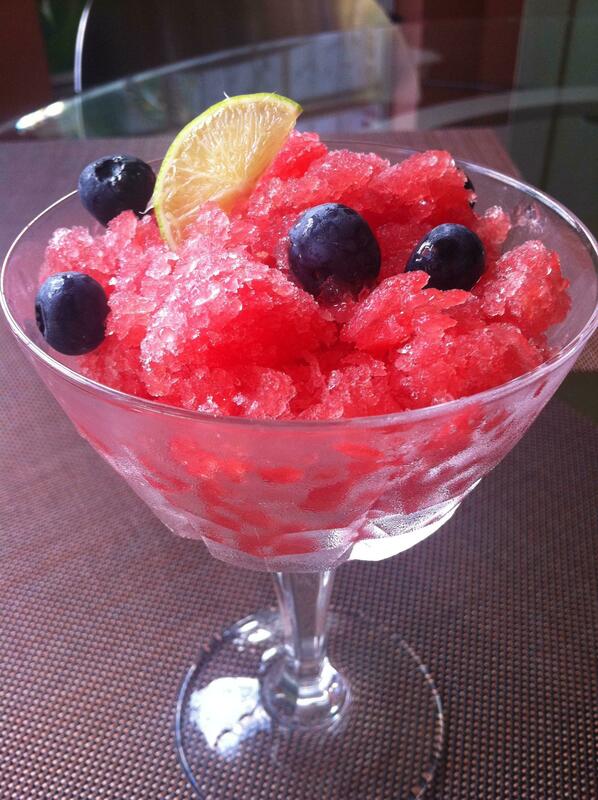 This “Raspa De Sandía” takes me back to the San Antonio Westside.